The women walked up bearing tote bags, their arms laden with carbon forms and child-things. They are sent to homes in pairs. The wisest among us know enough to feel scrutinized as soon as the women cross our thresholds. We carry ourselves as though we do not know just how much is being observed. One of them wields forms, solicits signatures. The other eyes my little girl and listens, with an ear attuned to difference. Because she does not know them, she is reticent. They address her by name, and she hears them but does not respond. The women look up at my mother and me, where we sit at opposite ends of a down-filled sofa. “We’ll check her hearing as a precaution.” Since they have stationed themselves crosslegged on our living room floor, Story quickly intuits that they are there for her and they have been invited. She takes it all in: Ziploc bags with colorful wooden and plastic trinkets; a gym-like sack with a small plush Cookie Monster and an Elmo peeking out; a tiny generic bear, seated on our carpet with a tea set in front of him; and of course: the binders, the papers, the clipboards bearing sheets with lines and X’s. 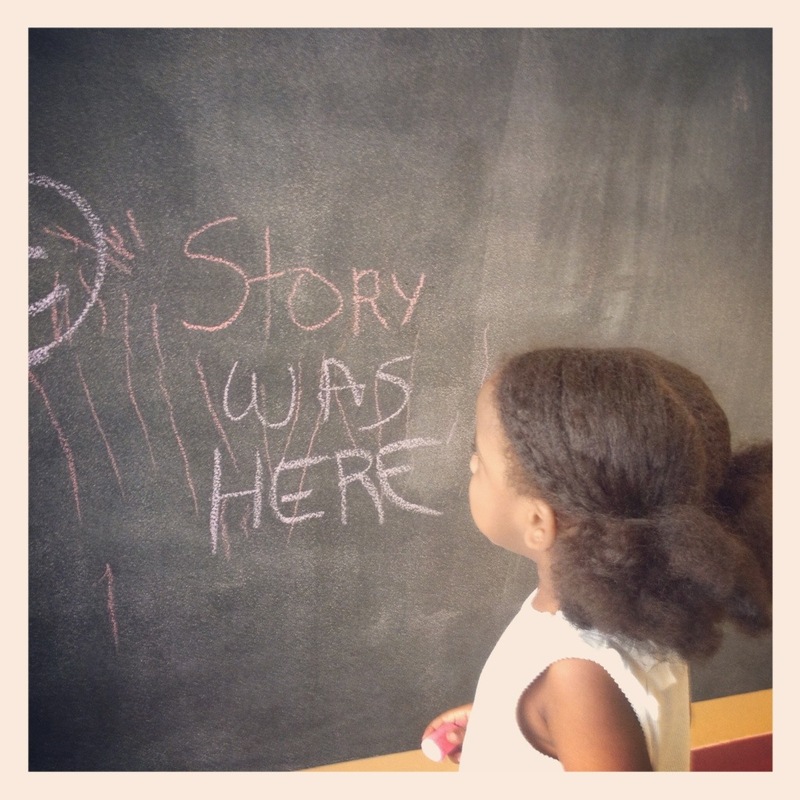 The spaces where Mommy scribbles. While she watches the women, I remember to return her father’s call. It is ten after six in the morning, where he is. He first called at 5:30 am, his time. I was spooning cold cereal into Story’s mouth at record speed, my mind racing toward anything else that needed doing before the women arrived. I had been up since 6, my time, myself, pricked awake by sharp anxieties. “Can I just call you back when they get here?” I snapped, erasing his face from my iPhone screen as soon as he said yes. He pops up there again now and says hello to the women. Both raise their eyebrows, returning his greeting. I’m reminded how often black fathers are assumed absent or under-involved, how difficult it is for social program workers to hide their initial surprise at a father’s engagement, how quickly they recover. I prop up the phone so he can see and listen. “Can you give the bear a drink of water?” one of the women asks. All three of us — her father, my mother, and I — know that she won’t. This is, in part, why the women are here. We are no longer sure what is a matter of ability or an act of will. They have already asked if I’m on public assistance. No, I answered quickly, ashamed at the twinge of pride I felt. I am proud of too many irrelevant things: that Story has no allergies; has never had an ear infection; is too young to remember how many cans of formula I paid for with food stamps (about eight), too young to notice how foolish I’ve been to forgo WIC. And if I’m honest with myself, I am even proud that her father has cleared a morning to watch this assessment unfold on FaceTime. None of this means much, in light of why the women are here. But it’s what I have. “Give the bear a drink,” the child development therapist urges again. Story sits by the bear, looks at his empty place setting, keeps her dainty hands in her lap. The women whisk her off to another exercise. The speech pathologist raises a three-ring binder, showing her a page. “Where’s the ball?” They have just played with a ball, hard and hollow, formed of translucent green plastic. It does not look like the ball in the picture. She does not point, even as her eyes train on the ball. She knows “ball.” She knows 100 words or more, easily. My friend Kristen encouraged me to count them months ago, when I first voiced my worries. For a while, I kept a running ledger in the back of journal with the Eiffel Tower on its cover. I stopped at 92. I didn’t even count the articles: no a or an or the. No reaches. It is a ninety-minute enterprise, and as soon as it ends I must dart out the door and race downtown for a radio interview. I can tell I’ll have to leave before they do in order to make it. Maybe this is the problem. I am always darting off: into a book or a writing project, into a series of texts, a teaching assignment, into social media initiatives, most recently, into a romance, and always into the far reaches of my mind and heart, looking for the parts of myself that are still recognizable. She is my true North, of course. I always turn back to her. But how often are any of us sure-footed? How often are we headed in the right direction? I have been waiting for this day for months, and though I am not as often dreamy and expectant of ease as I once was, I thought the women would fix this. They would tell us how to get her to speak clearly, to babble less and enunciate more. For once, something would be simple. 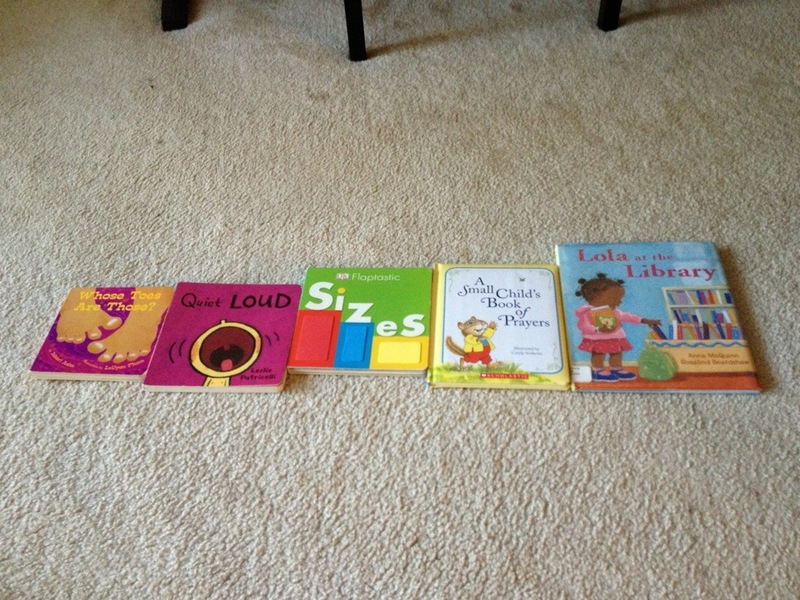 books lined up according to size, during independent play. But speech, they break to us gently, is a symptom, not the core issue. They cannot determine, through this battery of tiny tests, how much of what we say is being understood. Perhaps she is isolating recognized words, but not grasping entire sentences. Perhaps she doesn’t answer or ask questions because she isn’t sure how to arrange what the words she knows. They tell us her play is too orderly; she is more interested in lining things in neat rows than in fashioning intricate worlds. Were she hitting developmental milestones, in other words, she would not have just offered the bear a drink. She would’ve told us the color of the juice or charged him a million dollars for the privilege of dining in her castle. It’s manageable, they assure us. The assessment, after all, was to determine how best to address her needs. They say that she is in a good place, at home during the day and surrounded by familiar faces who offer patience and love. They look warmly to her father’s face in my phone when they say this. And she shows determination. Many of the children they visit run to other rooms when they won’t or can’t engage the women’s activities. Story stands her ground. She is brave. I am late to the radio station. On air, I do not hear myself. The segment is about how single mothers “make it work.” But this is a topic on which I know too little, especially today. Back at home, I hold Story close. We all do. I give my heart the rest of the day to adjust to the new light in which I’ve been advised to view my daughter. It is as bright as it’s ever been, as bright as the night she was born.